Buried deep in this Washington Post article on the November elections is the following factoid: one of the newly elected Republican Congressmen from Florida is also a Funeral Director. 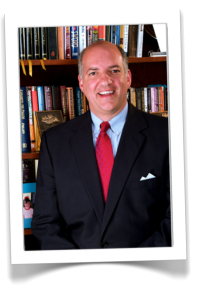 Representative-elect Steve Southerland is part of the Southerland Family Funeral Home in northern Florida. I need to check and see how many funeral directors have served over the years in both the House and Senate. I’ve been poking around but I can’t find a single source on this one. Now that I’m interested, however, I must know. I will find out and report back. It’s worth noting that Representative-elect Southerland was also a Tea Party backed candidate (according to various news accounts), although I have not seen any official Tea Party literature on the American funeral industry. The National Funeral Directors Association takes a decidedly non-partisan approach with the candidates that it supports and every year funeral directors from all over America arrive in Washington, DC to meet with elected officials. The Death Reference Desk will keep an eye on Representative Southerland. We want to know what kind of death he brings to the table. Posted by John in Death + Popular Culture, Funeral Industry and tagged funeral directors. Bookmark the permalink. Given his politics I will joyously hurl his trocar into the harbour. Sorry, harbor. On a more serious note, the combination of undertaking with any other activity results in a species of oxymoron — undertaker-poet; undertaker-bee-keeper; undertaker-heavyweight boxer — and this says something interesting about the social identity of undertakers. A caste apart, perhaps? For a happy moment I thought the good people of Florida had elected a funeral director for the Last Rites of the Tea Party…as a Brit, none of our business perhaps, but do you realise how scared a lot of us are by some aspects of the US right wing? Gloria: Indeed I do know what the Brits think of the US right wing. I live in the UK so I straddle both world. It’s quite surreal at times.